General Hospital (GH) spoilers tease that Franco will feel like he’s missing something. After he battles some vivid nightmares, Franco will determine that he needs some help. On October 17, Franco will struggle with his frustration. That will lead to a desperate plea on October 18, so Franco could be headed into dangerous territory. It’s possible that Andre (Anthony Montgomery) will advise Franco again, but perhaps he has another helper in mind. General Hospital spoilers indicate that Ava (Maura West) will get a visit on October 17. Once she hears a pitch, she’ll offer assistance in the following episode. Since those dates line up with Franco’s frustration and request, it sounds like Ava could be the one he turns to. Maybe it’s time to start putting this storyline puzzle together. GH is working plenty of angles right now. We watched Ava and Patient Six’s (Steve Burton) clinic drama for a while. Now Patient Six is in for some tough moments on his voyage. Back in Port Charles, Jason (Billy Miller) and Sam (Kelly Monaco) are busy seeking a new beginning. Meanwhile, Franco is dealing with a guilty conscience. Of course, Sonny (Maurice Benard) is involved thanks to that phone call from St. Petersburg. There’s a lot going on here! The momentum is building and it won’t be long until we see a collision. It’s not clear what Franco might need from Ava, but GH could surely think of a reason. Any motive will do. The point is to keep Franco in Ava’s orbit. That way someone can eventually make the connection between Patient Six and the twin saga. Ava already has a couple of hints she can rely on later. The phone number Patient Six provided had an area code for that part of New York. Ava also knows what he looks like, so she’d recognize that face if she saw an old picture of Jason. Jake (Hudson West) just did a project for Monica (Leslie Charleson), so there are photos floating around. If General Hospital concocts a reason for Ava to see them, she could fill Franco in. 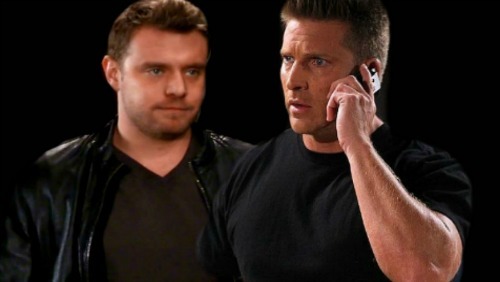 He might assume Drew was held hostage at the clinic, but there’s a good chance it was the true Jason Morgan. This would be an interesting twist in the double Jason plot. Ava and Patient Six’s partnership will come back into play down the road, so more excitement awaits. We’ll give you updates as other GH news comes in. Stay tuned to the ABC soap and don’t forget to check CDL often for the latest General Hospital spoilers, updates and news.